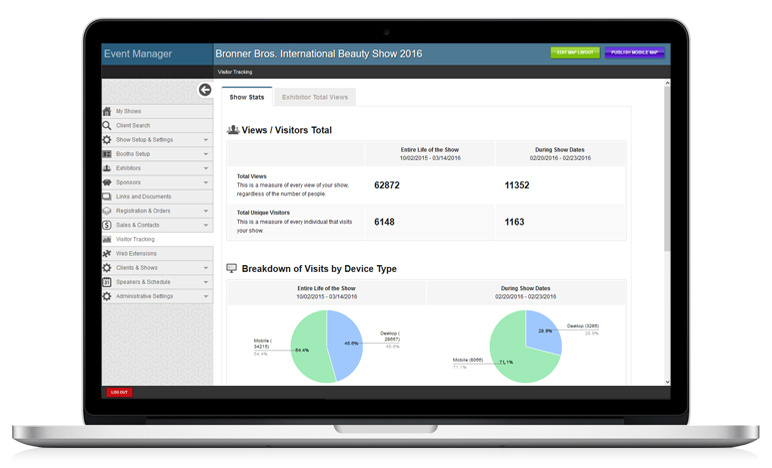 Split between total visits / views while the event has been public vs total visits / views during event dates. We believe in simplicity. 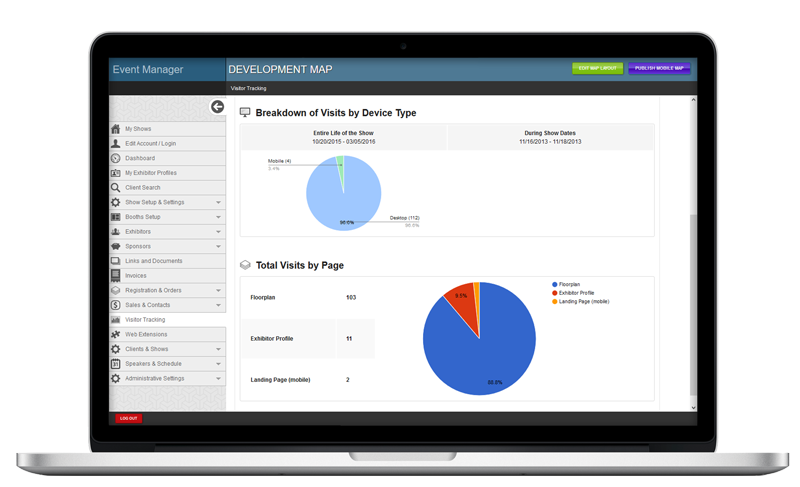 Our tracking provides the information necessary to determine value, usage, and support the decisions that need to be made at a glance. 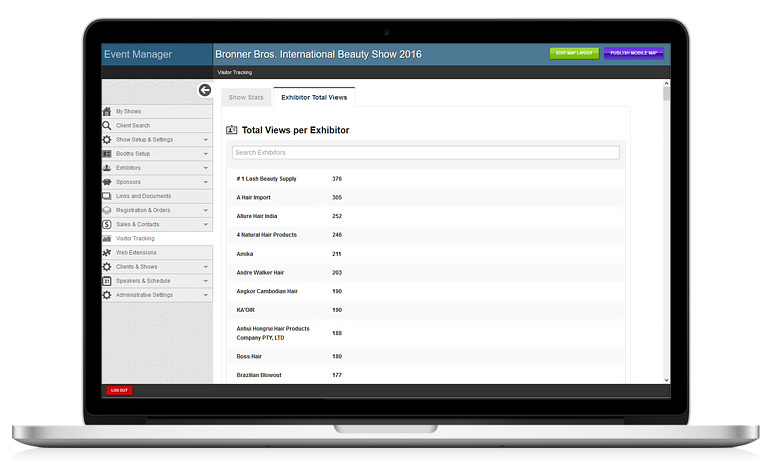 Visitor Tracking is further broken down by the views per individual exhibitor profile across the desktop floorplan and mobile app. Q: What types of information do you collect? We track basic information. Date / time, IP address, users' device specs, device type, and page they were on. Q: If I need these numbers in "X" format- can you compile that for me? We can compile it into any format you'd like, so long as that format is .csv. Sorry, Henry Ford joke. We can provide access to the raw data logs if you'd like to compile your own reports and that data is available in .csv format. "We didn't know it when we signed up that we couldn't live without it"
"it makes selling and managing booths so much easier"
"We are so happy with it!"